+1 Target creature cannot attack or block this turn. You can use this ability during your opponent’s turn, but it is -2 and you cannot use an ability of ~ during your next turn. 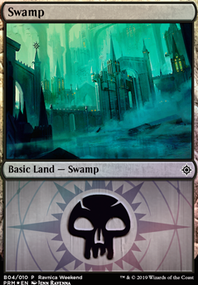 -3 Exile up to 2 nonland permanents, then return them to the battlefield under their owners’ control. Decide to incorporate Blood Reckoning and Ghostly Prison into its final ability. 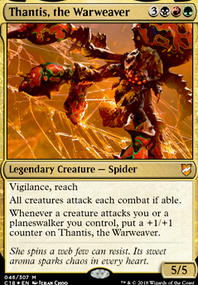 Though our colors and budgets are a bit different, I might recommend you look at my Home alone deck, which features a similar strategy using Thantis, the Warweaver instead of War's Toll . My deck is a bit different; it's based less on not being attacked, but on forcing people to attack you and then punishing them for it; but the general ideas are the same. Of immediate note to me is Vicious Shadows . 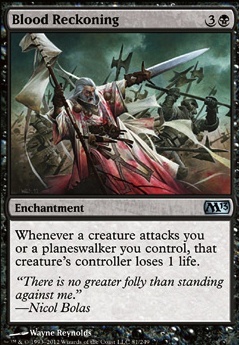 People tend to see this card and read "when a creature an opponent control dies, that creatures controller takes damage equal to the number of cards in their hand." But it's not that. It's any creature, and it's target player. With a card out like war's toll, you should have some options. Stuffy Doll is a really fun card to look at, and like vicious shadows, it gives you some political power. Watch people attack you with a single creature, knowing you'll block it and hurt a mutual foe. It also pairs really well with red murder spells Blasphemous Act and Star of Extinction . I'm noticing you don't really have board wipe spells here; those two and also the white Wrath of God are good choices. Archetype of Finality gives every creature you have death-touch, making every blocker you have extremely capable. Blood Reckoning is a good for making people not want to attack you. Grave Betrayal is very, very good. 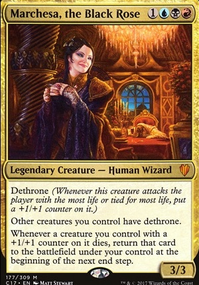 I don't care for Approach of the Second Sun , but if you want more cards like it, Revel in Riches is another win condition, and unlike second sun it has that added value of just giving you mana. 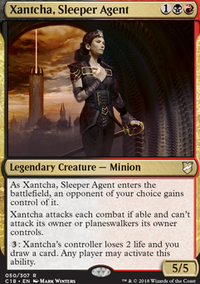 Xantcha, Sleeper Agent is a creature that is incredibly good. hkhssweiss I will add Nicol Bolas, God-Pharaoh eventually, I believe he is very powerful and deserves a spot in the deck. I will not be adding Nicol Bolas, the Deceiver as I feel he is not powerful enough for 8 mana. I do like all of your ramp suggestions and will use them if I feel the deck needs more mana-fixing/ramp. Sweltering Suns and Cower in Fear are too weak to be good in this deck. Sadistic Sacrament is so cruel and so awesome! That card can single handedly take out an opponents chances of winning so I will definitely throw that card in at some point. Countersquall is an auto-include as it’s an on flavour Negate. I removed Slave of Bolas because I felt it was too much mana for the results it produced. Crux of Fate is definitely strong and I will consider it. The only problem with the card is if I come up against a deck with a large amount of dragons. Blood Reckoning will almost never stop the token decks from killing me so I decide not to run it. Imp's Mischief while on flavour, can easily be replaced with a copy of Redirect so that I don’t lose life. Great suggestions! I feel like you will need to add in all the Nicol Bolas planeswalkers in here. I am very particular to Nicol Bolas, God-Pharoah and should be included in here asap LOL! 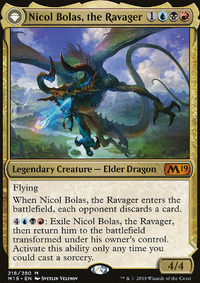 Also Nicol Bolas, the Deceiver would be on point with theme as well, since we are in Grixis colors. We need all the mana acceleration ramp, cards like Dimir Signet, Rakdos Signet, Izzet Signet, Talisman of Dominance, and Talisman of Indulgence will help you in casting all the spells since Bolas loves doing things in style. Some fun cards that go with the flavor are Sadistic Sacrament, Countersquall, Crux of Fate, Imp's Mischief, Slave of Bolas, Cower in Fear, Blood Reckoning, and Sweltering Suns. Thanks for the suggestions! These are a great way to make the deck more focused. I especially like Hissing Miasma as it is a better version of Blood Reckoning, and No Mercy as well. Revel in Riches is also a better idea compared to the reainimator stuff I had before. I will definitely try to employ your ideas. I'm sure you know the cards, but you could throw in Soul Warden, Essence Warden or Soul's Attendant.. maybe Blood Reckoning rather than Ghostly Prison! That way they will be tempted to take the pings as well.. pair that with a "creatures target player controls must attack" effect and By the time they declare attackers, they'll be dead! Caltrops, Curse of Bounty (on yourself), Thunderstaff (maybe), Marchesa's Decree (over or in addition to Blood Reckoning), Crown of Doom (for giggles).